Student Affairs has hired the university’s first alcohol and other drug (AOD) coordinator, implemented a comprehensive AOD prevention program, and created several award-winning tools and programs to fight substance abuse. In addition, Student Affairs created Safe Zones for our LGBTQ students and expanded services offered by Student Health Services, Counseling and Psychological Services, Health Promotion, and Student Disability Services. All of these efforts have paid off to create a healthier student body. 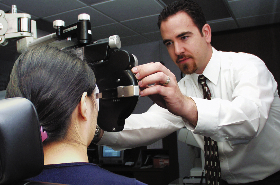 In 2008, Student Health Services opened its first optometry clinic. In 2000, Student Affairs hired its first Alcohol and Other Drug (AOD) Initiatives Coordinator. AOD programming seeks to reduce and prevent problems associated with alcohol and other drug use on campus. In 2002, Counseling & Psychological Services designed the electronic self-assessment and intervention tool, eCheckUp to Go, or eCHUG and introduced ASPIRE, a program proven to reduce alcohol use. In 2003, a companion to eCHUG, called Marijuana e-CheckUpToGo, an online marijuana assessment/ intervention tool, was introduced. In 2004, Peer Health Education programs expanded to include alcohol and other drugs and body image, in addition to sexual health, nutrition, and FratMANners. 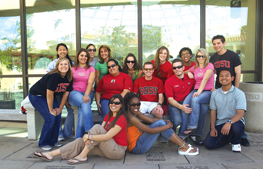 In 2006, SDSU became a Family PACT provider. Family PACT is a state-sponsored family planning program. In 2008, Student Health Services began converting from paper to electronic health records. At the time, SDSU was the only campus in the CSU to do so and among only four percent nationwide to go electronic. SDSU’s Student Health Services is considered a model college health program. In 2008, Safe Zones was created to promote an accepting, supportive and proactive environment for SDSU’s LGBTQ* community. The campuswide initiative was spearheaded by Student Health Services and Counseling & Psychological Services. In 2009, Student Health Services opened a new optometry clinic. In 2010, SDSU ranked as one of the top 20 most LGBTQ*-friendly campuses in the nation, according to CampusPride.org. In 2010, Student Health Services received the highest accreditation from the Accreditation Association for Ambulatory Health Care (AAAHC). In 2014, the Health Promotion Department split from Student Health Services to form its own separate department to better serve our students. Calpulli Center is home to the departments of Health Promotion, Student Health Services, Counseling & Psychological Services, and Student Disability Services.